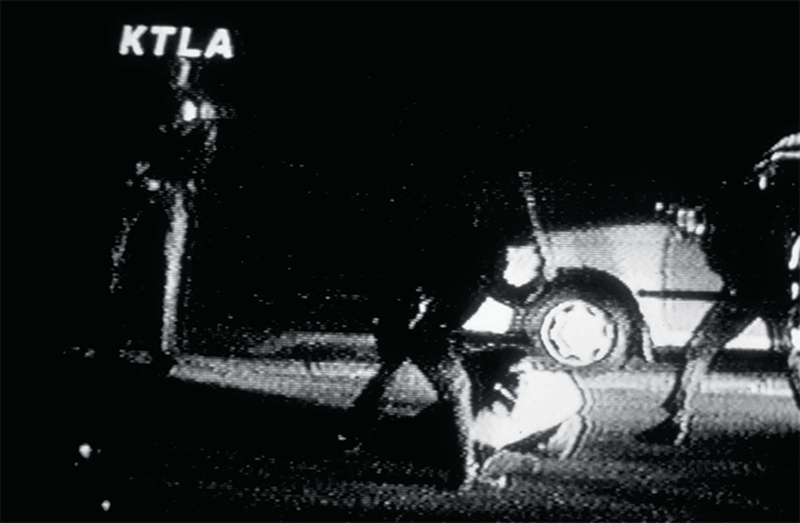 Still from George Holliday’s video of LA police beating Rodney King, March 3, 1991. From a broadcast on KTLA News, Los Angeles, March 4, 1991. THE CRUCIAL ROLE of video in the organization of Black Lives Matter and other recent movements of resistance to police violence calls for a fundamental reevaluation of the history of moving images as evidence in the United States. Film has been used as evidence in US courts almost since the invention of the medium itself, but it was not until the beating of Rodney King by the Los Angeles Police Department and the subsequent trial of four of the officers involved that a broad public saw video evidence that would previously only have appeared in court.